My name is Nanda. I’m 11 years old and I live with my grandmother amidst the lush green hills of Uttarakhand. I’m in total awe of everything that defines Uttarakhand – the weather, the landscape, the culture as well as the people. While I may still be a child, I have always dreamt big. The walls of my grandmother’s house cannot contain my adventurous and roving soul. Often I have sneaked out with my friends to play at the meadows or enjoyed fishing in the rivulets! 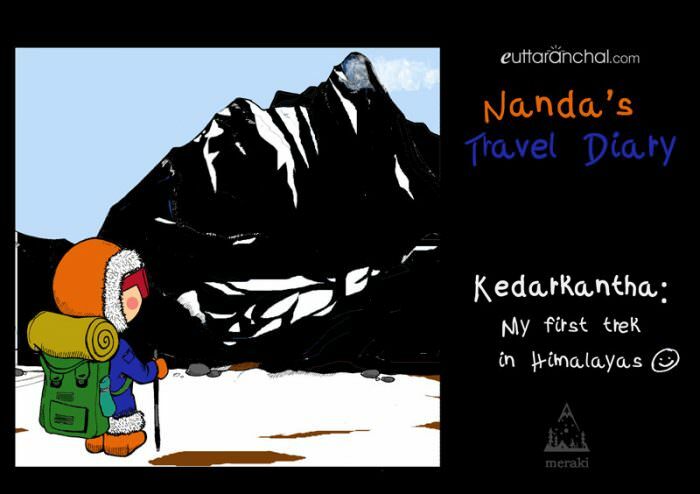 So, when I heard about the Kedarkantha trek, my interest piqued. I made my mind to travel to Sankri for my first ever trek to the great Himalayas. Whenever I would look out in the morning from the village, I could only see a glimpse of the great mountains, far away, covered in snow. I always wanted to get closer. ‘This is my chance.’ – I told myself. My plan to reach Kedarkantha summit received a shot in the arm when I came to know eUttaranchal.com have started a homestay in Sankri. What a coincidence! 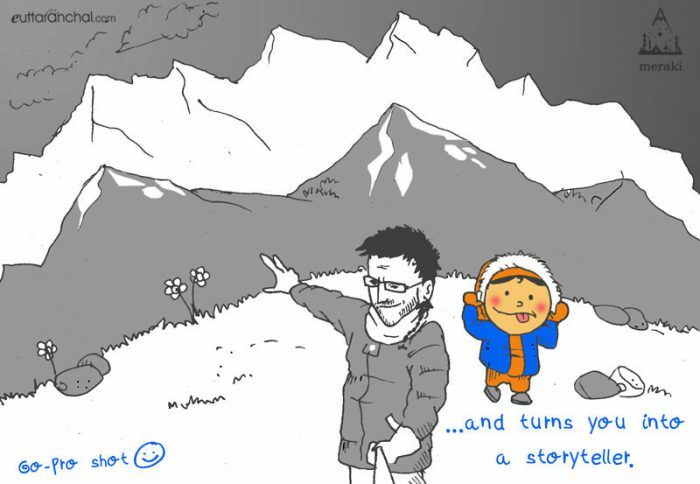 I like to draw and sketch; and eUttaranchal have always shared my doodles and drawings related to my adventures in the hills on their website and social media. 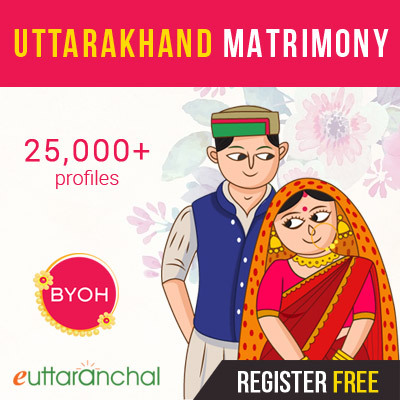 I got in touch with the eUttaranchal team and they cordially invited me to their Meraki Triangle homestay! I was delighted. 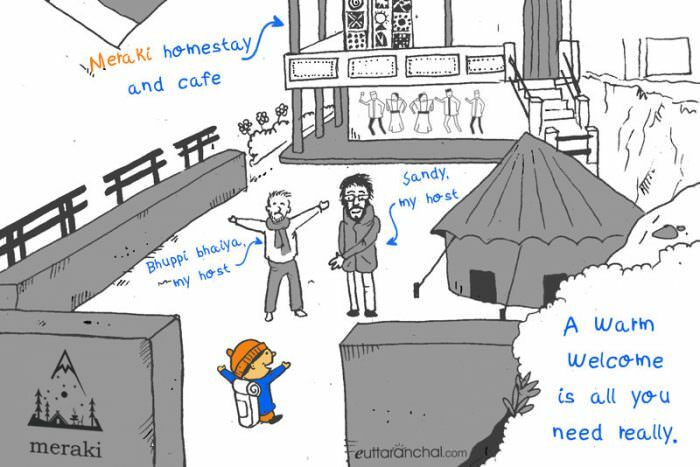 I picked up my pen, pencil, and sketchbook and packed my bag for the great adventure that awaited me at Sankri. Doodles I drew on my trip to Kedarkantha! I was at my cousin’s place in Dehradun. 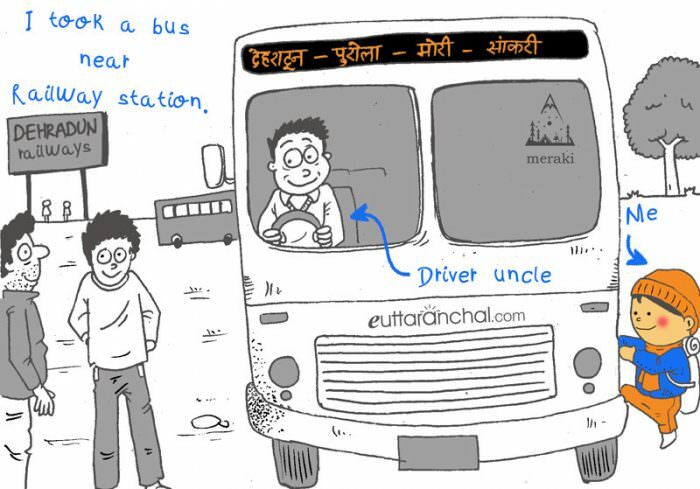 I realized there is a straight bus to Sankri from Dehradun bus stand near railway station. I hurried off and managed to board the 8AM bus to Sankri. 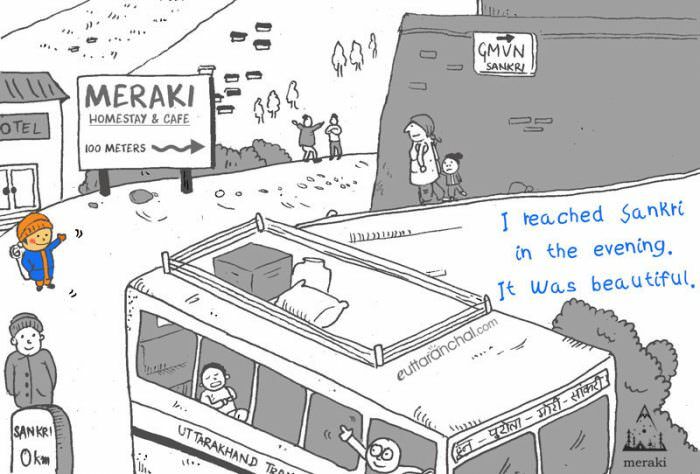 Soon after, the bus left the city clamor and swerved on the meandering hill roads. It was finally happening. Kedarkantha, here I come! 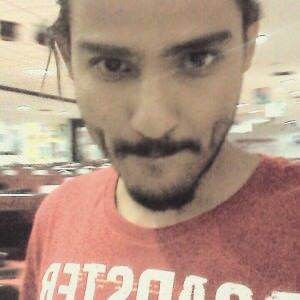 I reached Sankri in the evening. Although the 8-hr bus journey was tiring, the natural beauty at Sankri village made me forget that in an instant. It is so peaceful here! 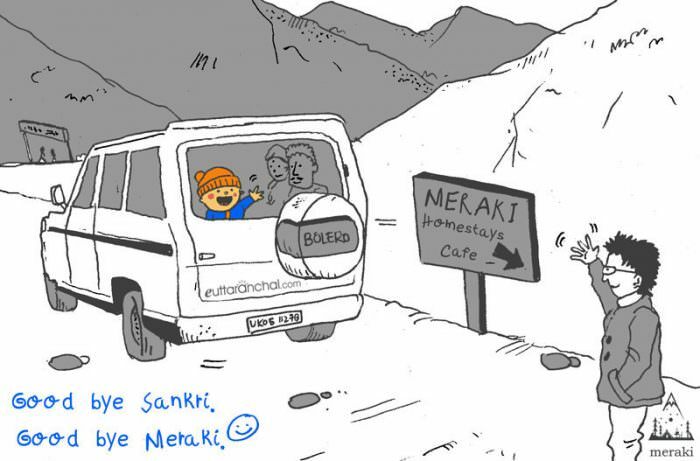 I waved goodbye to the driver uncle and walked towards the Meraki homestay. Thankfully, it wasn’t far enough (only 100 meters from bus stand), I could easily locate the red roof. I was greeted by the hosts at Meraki Triangle – Sandy (Sandeep) and Bhuppi sir (Bhupendra). Bhuppi sir came all the way from Chopta to spend some time with me! 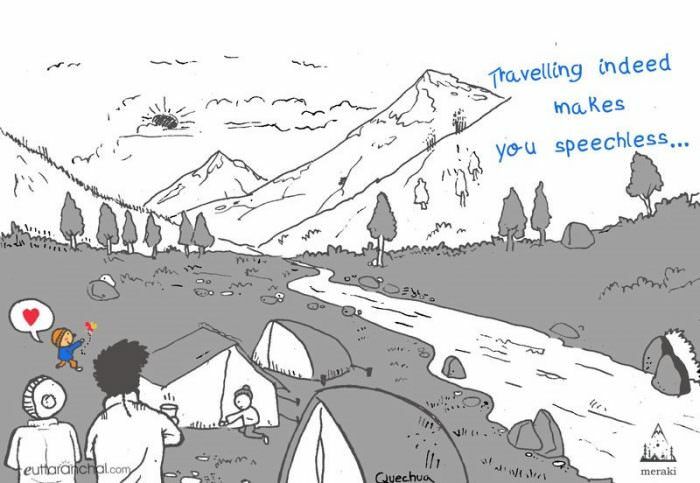 Actually, I send my doodles and artwork related to Uttarakhand to them and they publish it on their eUttaranchal social media for others to see. I was happy to finally meet them in person. I sat with them and talked while sipping hot chai and munching pakodas. 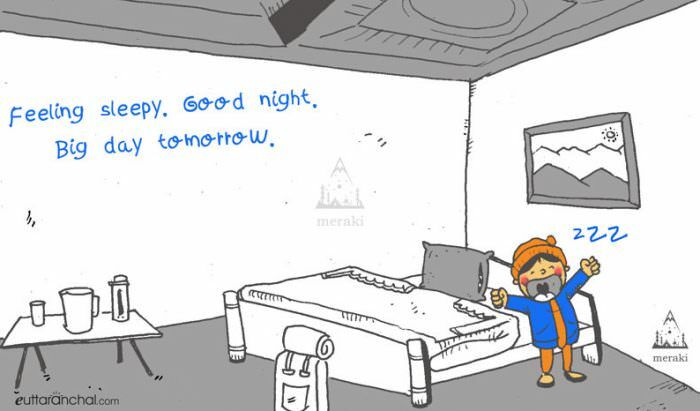 After a tiring day, it’s time to get some sleep! Today has been a great day for me. 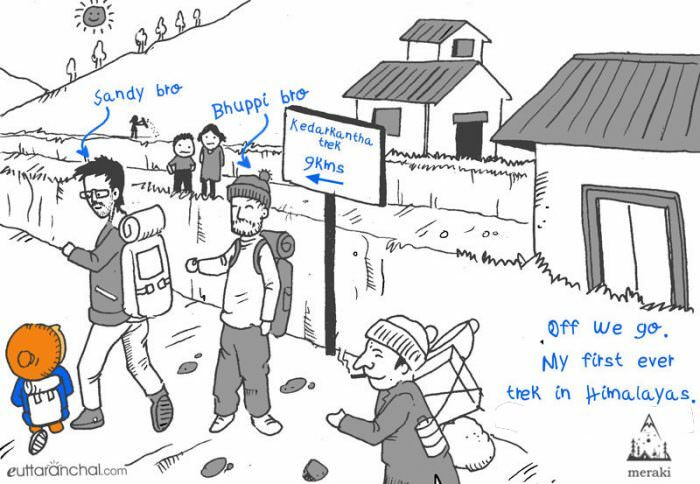 Not only I chased my dream to trek to Kedarkantha, I also braved the uncertainty that crept in my mind. ‘Big day tomorrow, Nanda’– I said to myself – ‘You can do it’. On the next day, I woke up early to get the glimpse of the rising sun. I, Sandy and Bhuppi sir left for Kedarkantha trek in the morning after the breakfast. I have lived in Uttarakhand all my life (all 11 years lol) but never got to see the majestic snow covered Himalayas from close quarters. Hopefully that will change! Our porter bhaiya carried our tents and cooking equipment, such a strong man he is! 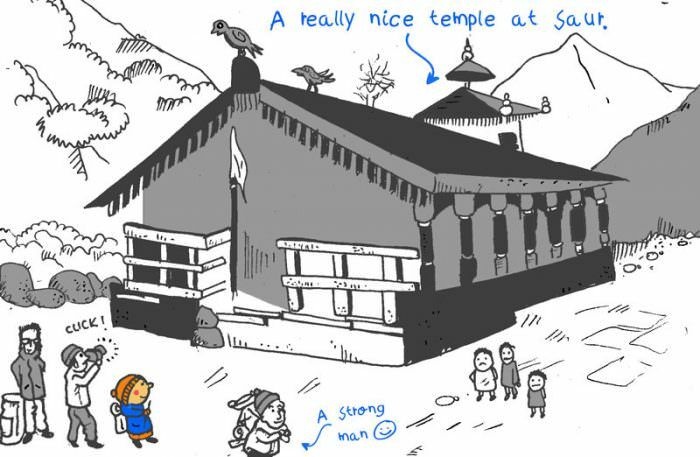 As we trek towards our campsite, we came across a beautiful temple unlike others I have seen. Bhuppi sir told me about its legends and history. These temples had a very unique architecture and an impressive wooden carvings. The landscape was getting scenic with each passing step. I asked Sandy bro about Har-ki-Dun valley and its unparalleled beauty. We reached the Kedarkantha summit. It was more beautiful than I imagined. The gorgeous snow-covered Himalayan mountains felt so close and so silent. We also trekked to Har-ki-Dun few days later. We camped at the valley which was so pretty. What a lovely trip it has been! Sandy and I returning back to Sankri after an amazing 10 days roaming amidst the Himalayan cradle. I’m an expert at making weird faces when someone clicks a photo of me. Sandy said it’s a ‘GoPro’ but it looked like a small pocket camera to me…I dunno. I was just trying to recollect memories so I can sketch them at once! Finally, it was the day to bid adieu to Meraki Triangle and Sankri. I waved goodbye and took a shared cab to Dehradun. It was an amazing 10 days spent amidst the Himalayas. I’m looking forward for more adventurous trips in my Uttarakhand. What a lovely lovely place!